Fans of William Holman Hunt are gearing up for the most high profile exhibition of his work in Canada to date. The new show, Sin and Salvation: Holman Hunt and the Pre-Raphaelite Vision, is currently showing at the newly reopened Art Gallery of Ontario until until May 10th. And it’s already creating quite a buzz in art circles across the pond, as an article published this morning in the leading newspaper in Canada suggests. 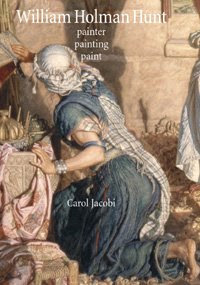 A detailed account of William Holman Hunt’s work can be found in Carol Jacboi’s William Holman Hunt, Painter, Painting, Paint. Category: Art History, Cultural Studies	22 Comments.